These guys fixed a few issues with our roof in Dec 2014. They were really responsive, the guys were all very polite and respectful, and it was a really good price for all the work they did. I was very happy with them and would use them again hands down if I ever need more roof work. Really impressed! Bone Dry Roofing is a great company to work with! They were organized, professional, and fair in their pricing. Our roof replacement went smoothly and we thought the service was great. Their administrative team was helpful whenever we had questions. I would would definitely recommend this company. In business since 2009, Bone Dry Roofings St Louis office is your best choice for local roofing, gutter, and chimney repair services. Our office is one of Bone Dry's ten offices across the Midwest, making our company one of the largest residential roofing companies in the region. Our first office opened in 1989, so all of our employees have many years of experience perfecting their craft. Our mission is to ensure peace of mind for each customer through exceptional service. As a family owned and operated company, we enjoy building relationships with our customers and neighbors. We will always be there to listen to your needs and suggest the best solution! 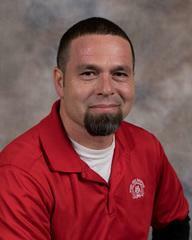 Tim Minton has been with Bone Dry Roofing, St. Louis, for the past six years. His past work experience in the field includes serving as a roof repair technician and as a field project foreman. Tim enjoys the opportunity to help his customers in making their homes safe and comfortable while delivering an exceptional experience in addressing their concerns. Tim enjoys his day-to-day responsibilities and interactions in completing home inspections for their customer’s need with any of Bone Dry Roofing services. Additionally, Tim provides completed job’s quality control inspections to ensure customers are satisfied. He is trained in carpentry skills and also has Red Cross first aid and AED (automated external defibrillator) certifications. During his free time, Tim enjoys spending time fishing and watching baseball. "The person that inspected the roof and evaluated the issues in great detail was extremely thorough and personable. The price..."
One of the primary focuses of our company is our commitment to our community, and every year we participate in a number of events and organizations in order to give back. We support Habitat for Humanity; we have also been on an episode of Extreme Makeover Home Edition! To find out more, visit our Community Involvement page! Bone Dry Roofing is honored to have received many certifications and awards that attest to our high level of skill and service. 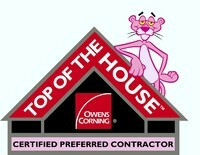 We are Owens Corning, GAF, and CertainTeed certified, and we have an A+ rating with the BBB. We have also won several Angie's List Super Service Awards over the years!